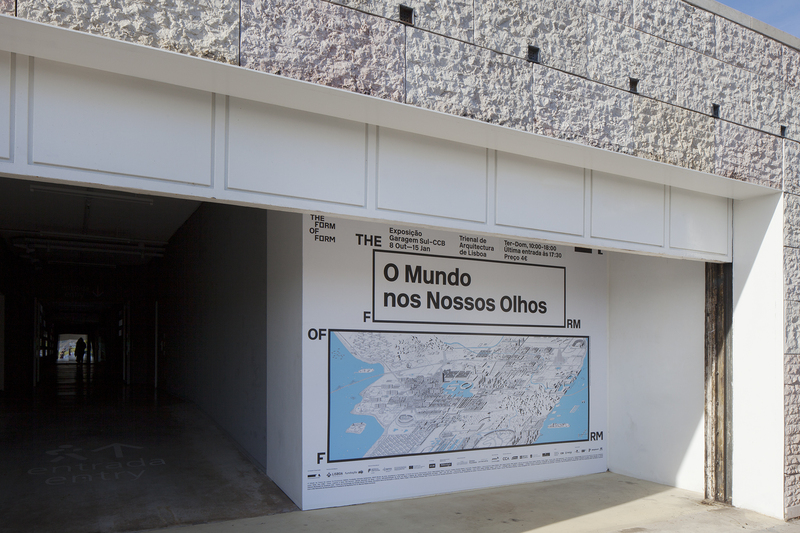 Visionary Cities Project / Alexander Eisenschmidt, In Search for an Architectural Urbanism exhibition at The World in Our Eyes as part of the 4th Lisbon Architecture Triennale, Lisbon, Portugal, October 6, 2016 – January 15, 2017. In Search for an Architectural Urbanism juxtaposes two large-scale panorama drawings of visionary cities in search for new forms of architectural urbanism. One drawing, “City of Architectural Fictions,” represents unbuilt but architecturally significant proposals while the other, “City of Urban Facts,” shows built innovations that are largely unknown. In addition, each drawing is supplemented by a catalog that documents the examples that can be found in the drawings — a 400-page catalog on the history of visionary projects on the city and a 250-page catalog on the breath of urban innovation. For more information, see Visionary Cities Project.